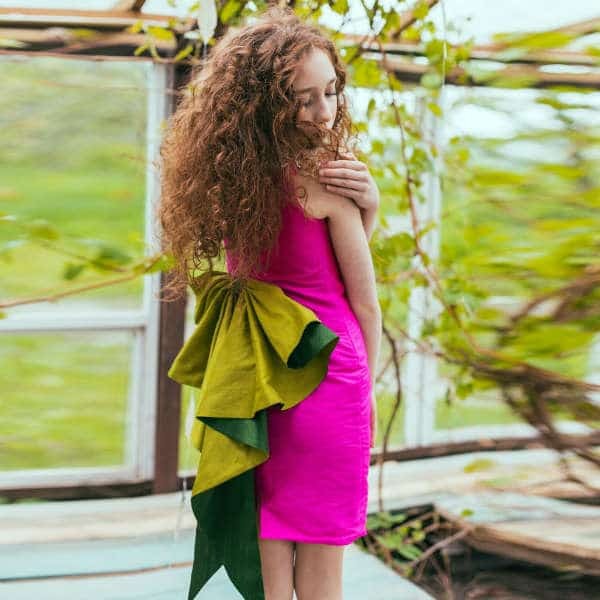 Love this gorgeous green silk dress by Lazy Francis. 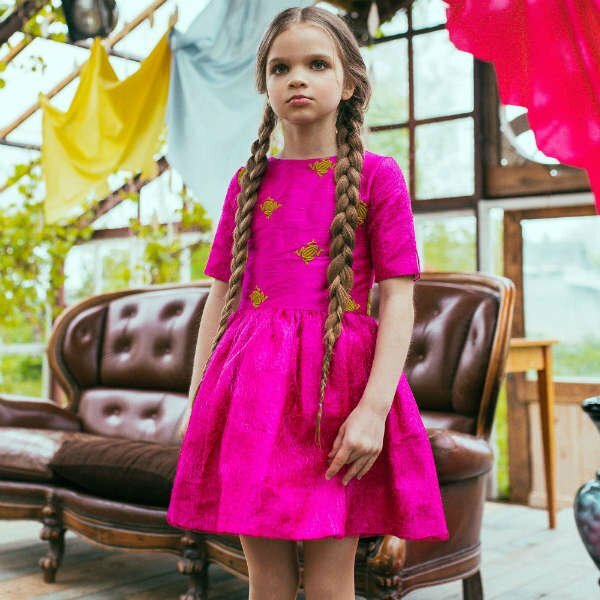 Perfect for a special occasion this Spring Summer, this beautiful dress is decorated with a pretty gold bow on the front and matching gold buttons on the sleeves. Love the layers of beautiful gold tulle that can be seen underneath the dress which is shorter at the front than the back. Photo is from the Childrensalon Eid 2018 photoshoot. Unfortunately, this LAZY FRANCIS Green Silk Dress & Gold Bow is not currently available. You can shop similar LAZY FRANCIS Girls special occasion dresses from the current collection online.